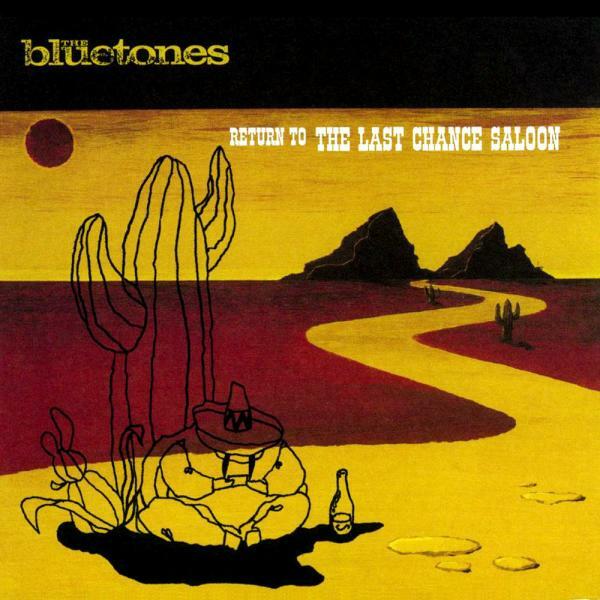 The Bluetones are one of the most important and successful bands from the Britpop era and kick off the re-issues of their catalogue with the glorious Return To The Last Chance Saloon. In 1998, Melody Maker described the album as a “17 year old, good looking and popular” teenager. Now 17 years since its release, has that teenager retained its exciting, fresh and joyous (superior) qualities? Hell yeah! Return To The Last Chance Saloon is a hit packed, gold selling, Top 10 album that was originally released in March 1998. Featuring the hit singles Solomon Bites The Worm, If…, and Sleazy Bed Track plus mail order only single 4 Day Weekend, this re-issue is augmented by the addition of standalone Top 10 single Marblehead Johnson. The bonus material included across this 2CD set includes each band member’s favourite b-side, plus a stunning gig recorded at BBC’s Sound City in Newcastle in 1998. A set packed with all their hits, it’s the sound of a band at the top of their game playing to a jubilant and adoring audience. The 2CD, 36 track package is completed by the addition of previously unreleased BBC session tracks from the era and all contained in a tri-fold sleeve with a new booklet containing brand new sleevenotes from Mark Morriss.